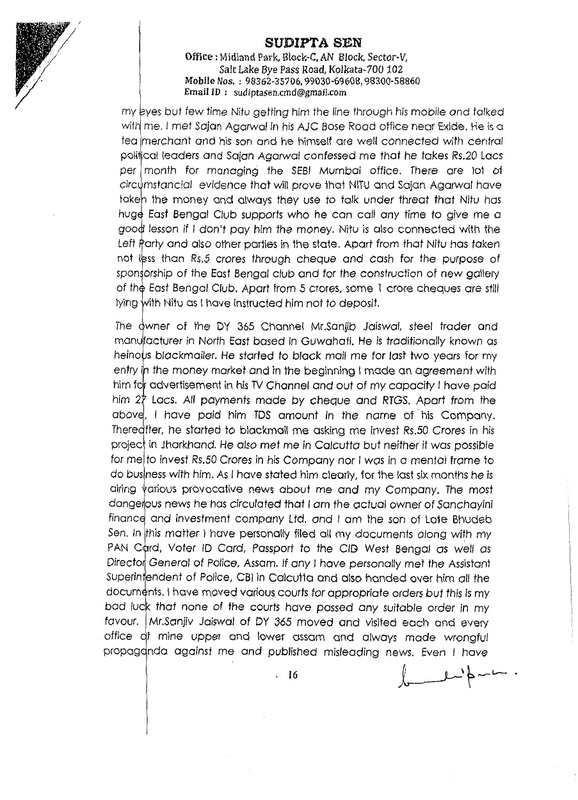 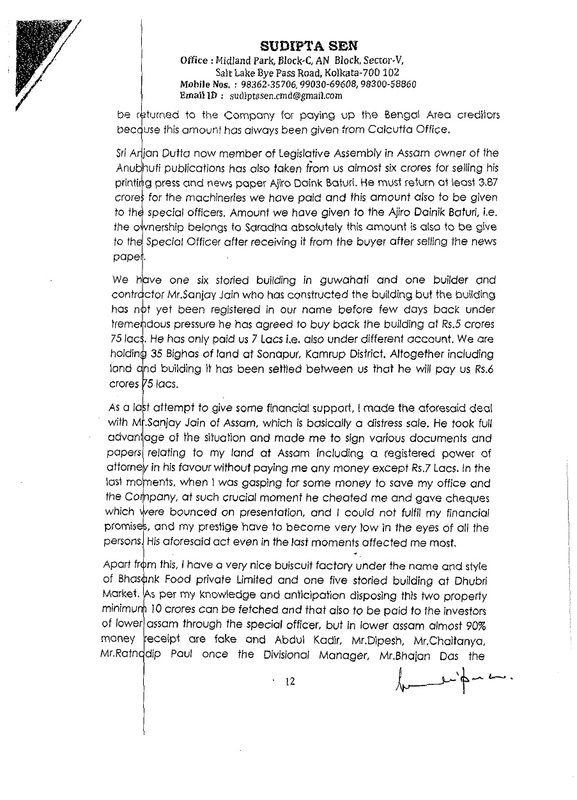 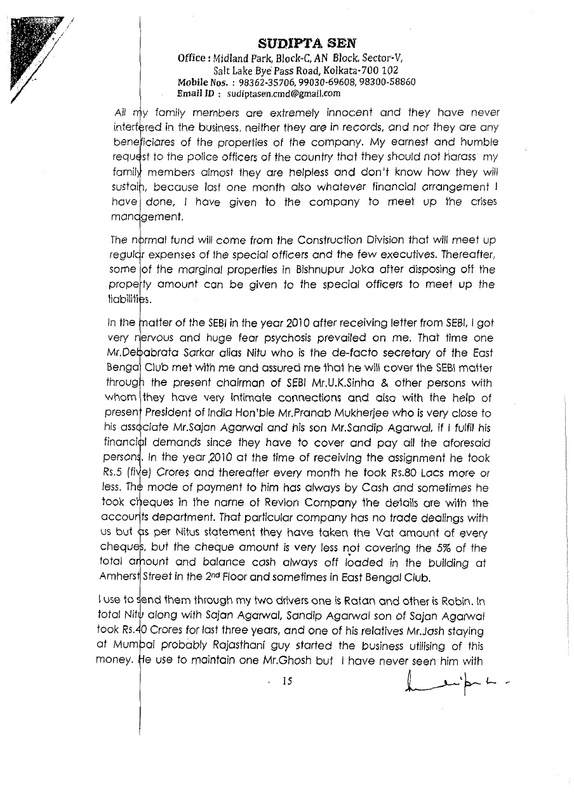 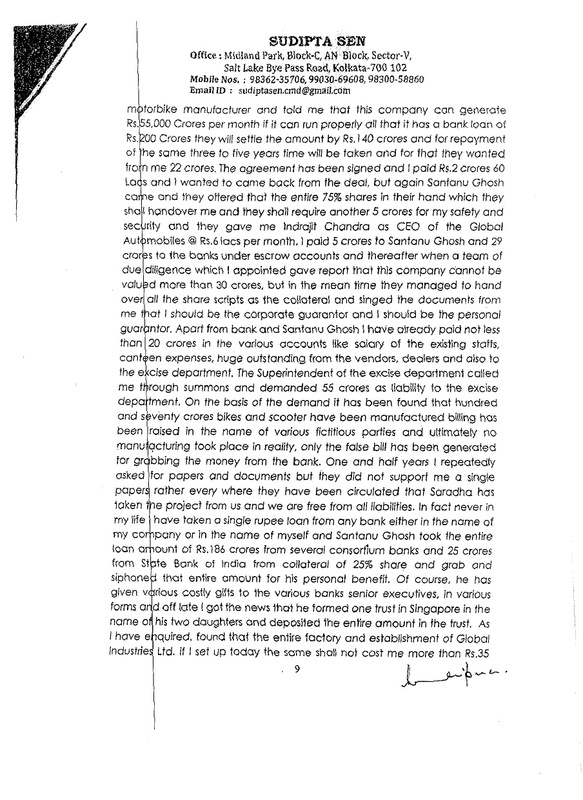 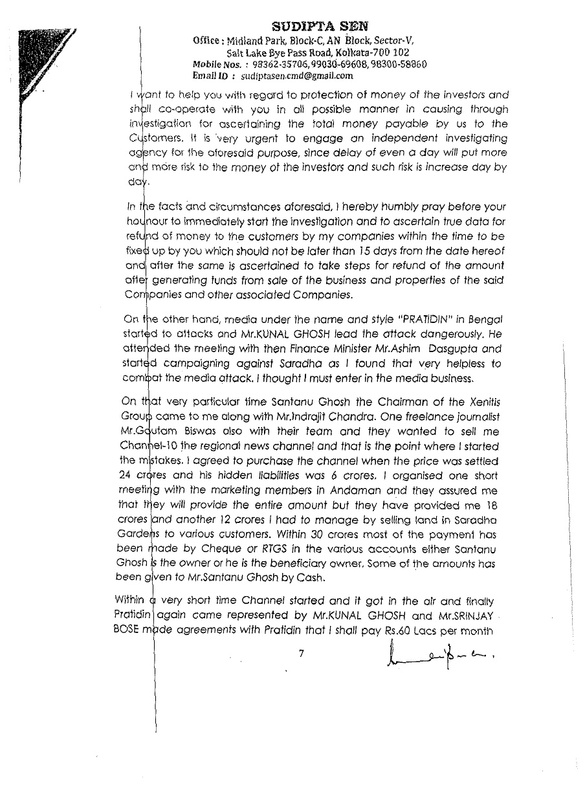 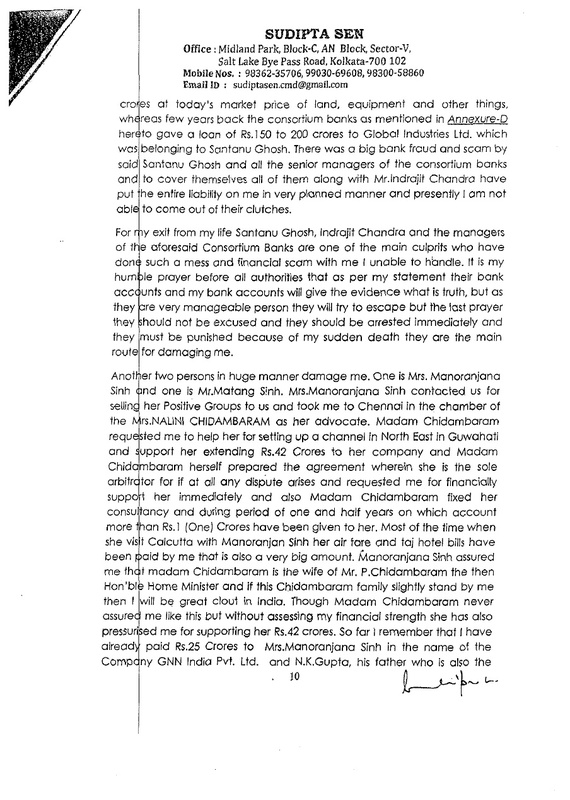 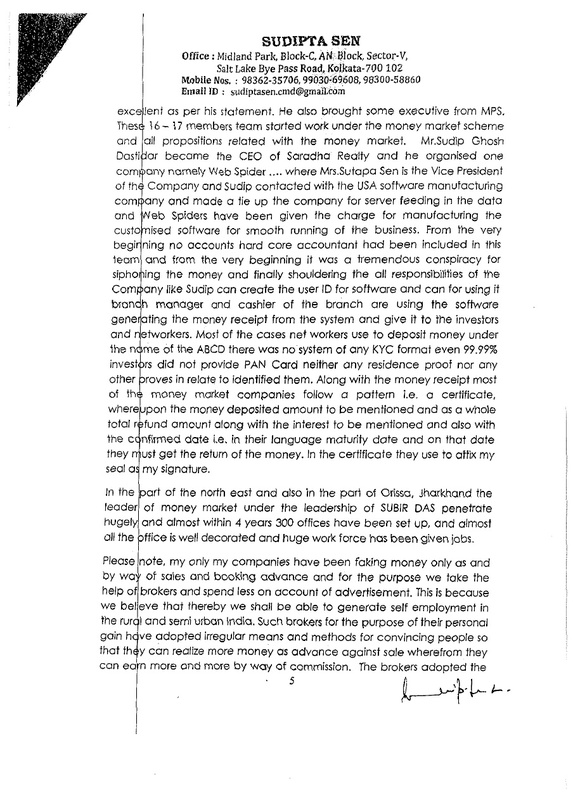 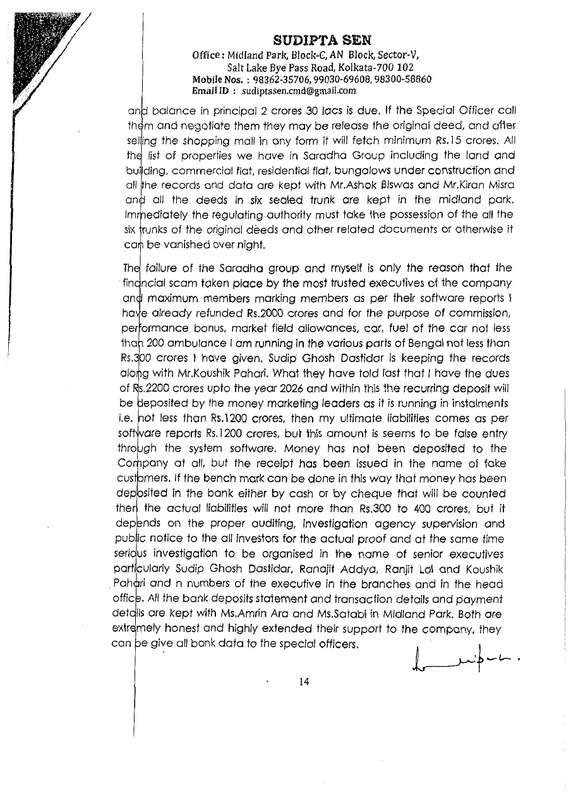 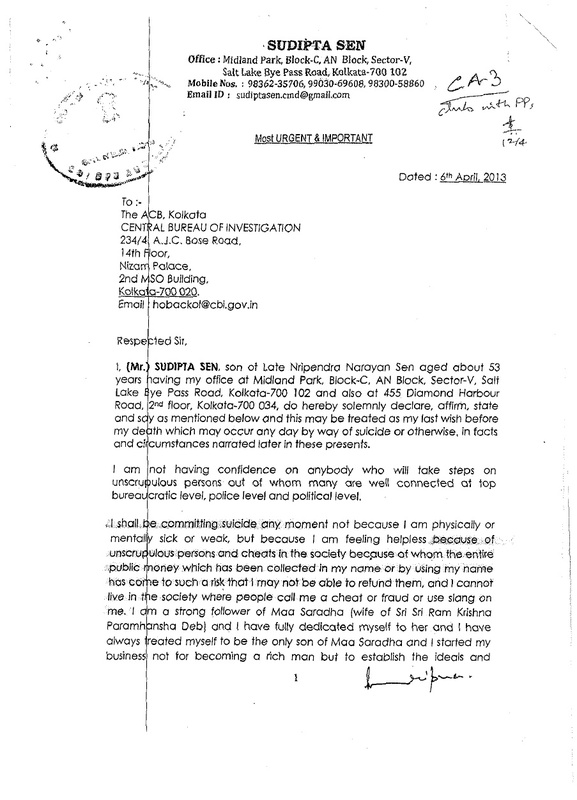 Saradha Group of Company's fugitive CMD Sudipta Sen wrote a letter to CBI (Central Bureau of Investigation) before disappearing. 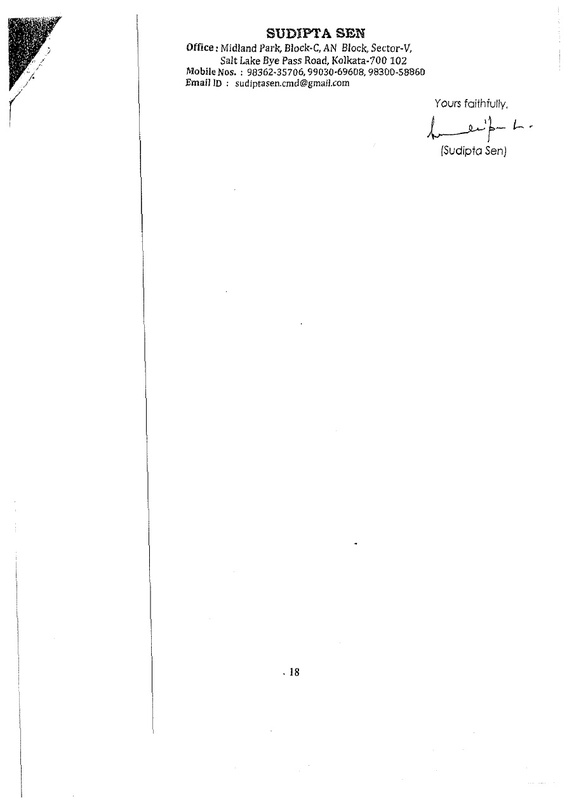 Later he was arrested from Sonmarg in Jammu and Kashmir along with aide Debjani Mukherjee and Arvind Singh Chauhan. 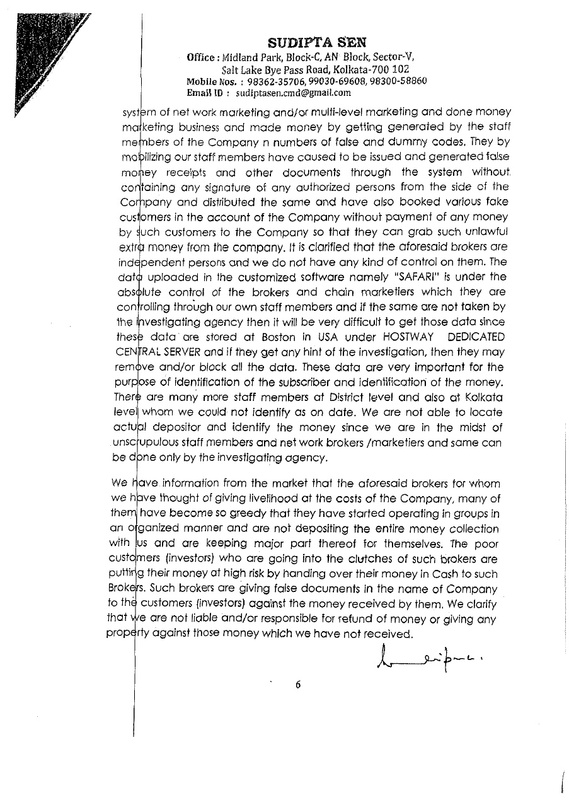 The letter was full of allegation and written in wrong English. 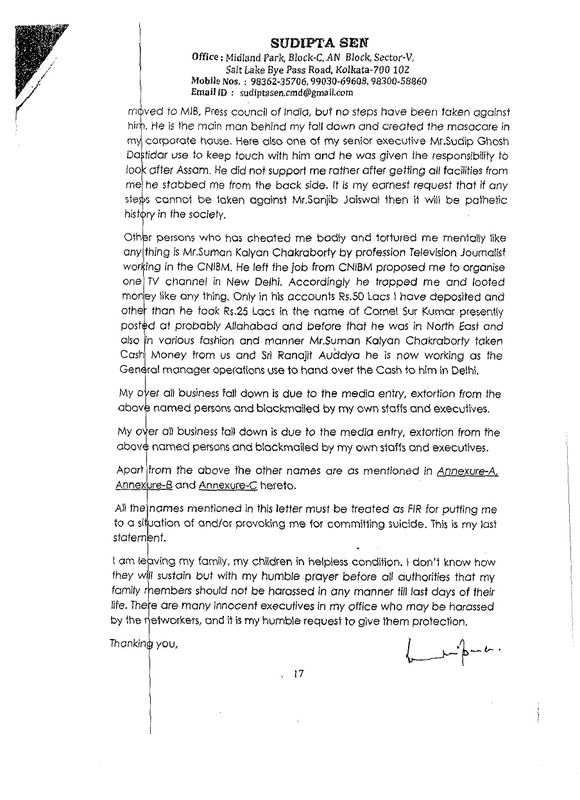 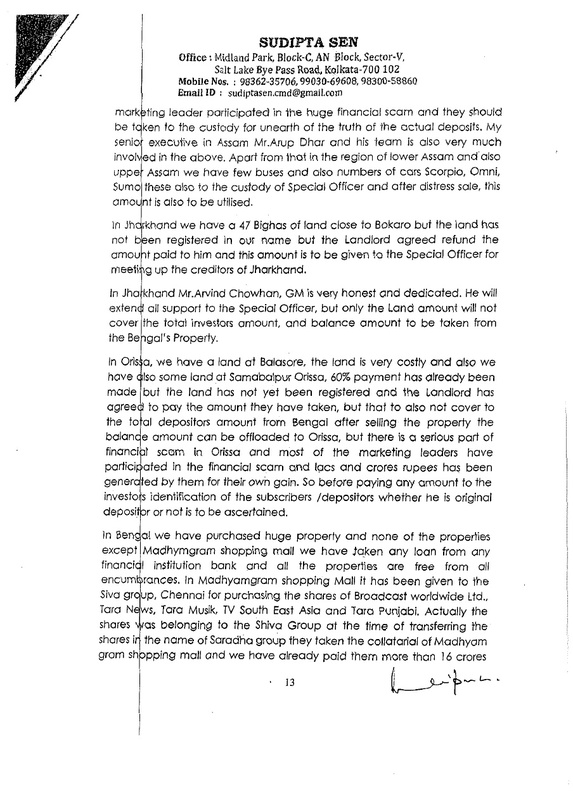 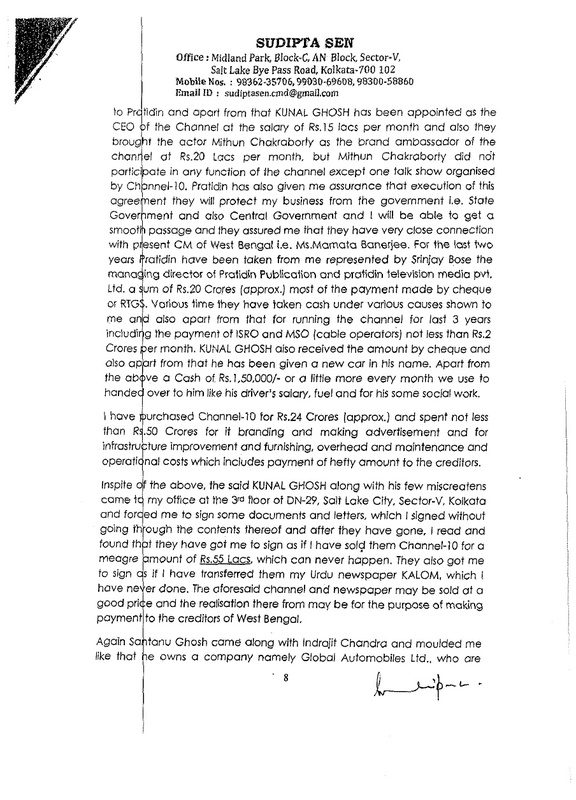 Below is the full 18 pages letter.